As tributes to future fathers-in-law go, this was a Great One. World No. 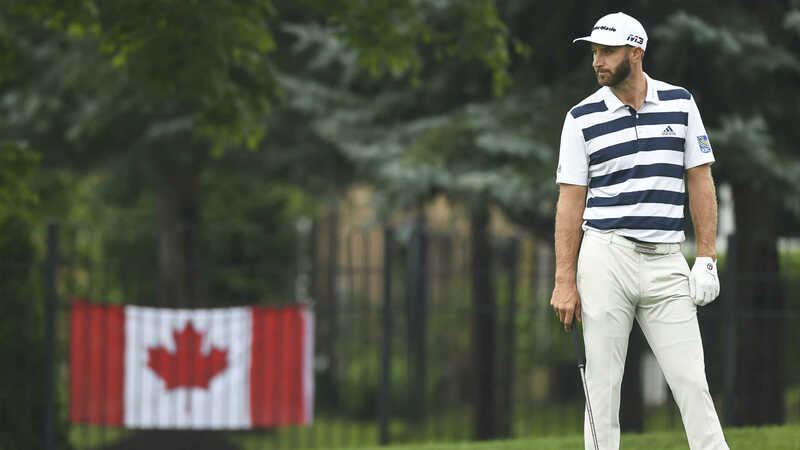 1 Dustin Johnson, playing in the RBC Canadian Open pro-am Wednesday in Oakville, Ontario, pulled on a Wayne Gretzky Edmonton Oilers jersey on the par-3 seventh hole. Johnson is engaged to Gretzky’s daughter, Paulina. So it was only fitting that when PGA Tour pros were encouraged to don their favorite NHL players’ jerseys to tee balls on No. 7, Johnson slipped into No. 99’s blue, orange and white sweater. It was all in good fun on a pro-am tee box surrounded by hockey boards and tournament volunteers wearing referee stripes. Johnson tees off Thursday alongside Canadian Adam Hadwin, who put on a goalie mask and helmet when he hit tee shot Wednesday on No. 7.